Anyone who likes exploring the wilderness or local waterways, may be interested in a new folding canoe that collapses down into a package that can easily be stored under a bed. The 14 foot folding canoe has been designed by a team based in Knoxville Tennessee and takes the form of MyCanoe. Which is already raised $77,000 via Kickstarter with still 18 days remaining on its campaign. Watch the promotional and demonstration video below to learn more about the 14.5 foot origami style folding canoe that can be put together in less than 10 minutes. MyCanoe is made to go with you on all your adventures. MyCanoe is a lightweight, patented origami folding canoe. It is the highest quality folding canoe in the world that turns into a beautiful Canadian canoe in 10 minutes. Its full sized 14.5 ft with two seats are perfect for sharing with family and friends for a quick trip to water. When it is folded to a case, it fits in most small sedans. 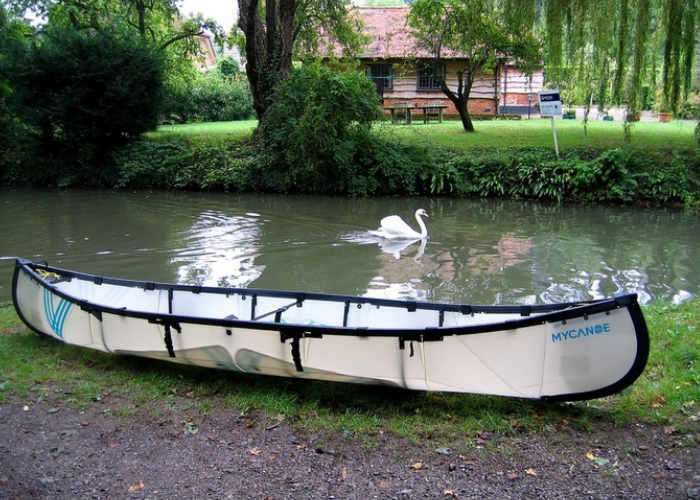 • MyCanoe unfolds into a quality 14 ft canoe in only 10 minutes, and takes only 5 minutes to fold back up. 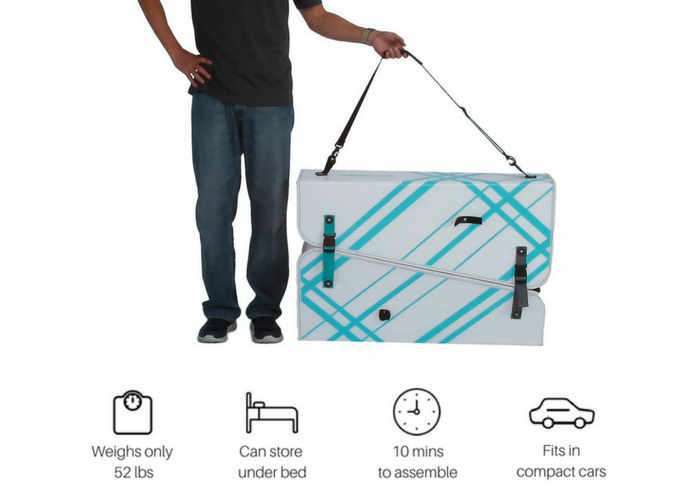 • At only 52 lbs, MyCanoe is easy to take with you wherever you go! • The optional paddles are two-piece for easy carrying. If you ever drop one in the water, they float! • The two-piece carrying covers are used as the floor of the canoe so you don’t leave anything behind. • The body of MyCanoe is made from a marine-grade custom polypropylene with a 15 year UV treatment that will withstand 20,000 folds! • On the off-chance that your MyCanoe capsizes, there is no need to worry as your canoe will still floats. • The award winning MyCanoe is TUV certified, comparing both better or similar to other canoes. • With 8 different seat positions, the possible ways to enjoy your MyCanoe are limitless.